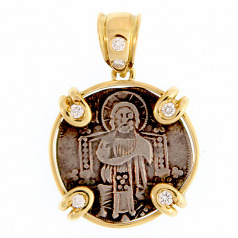 Ancient Venetian Silver Grosso Coin Pendant Circa A.D. 1312 - 1328. 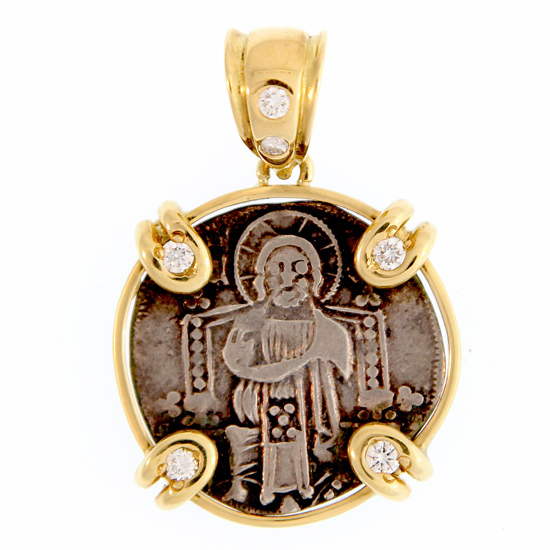 Obverse: Christ enthroned. Reverse: Doge receiving flag from St. Mark. 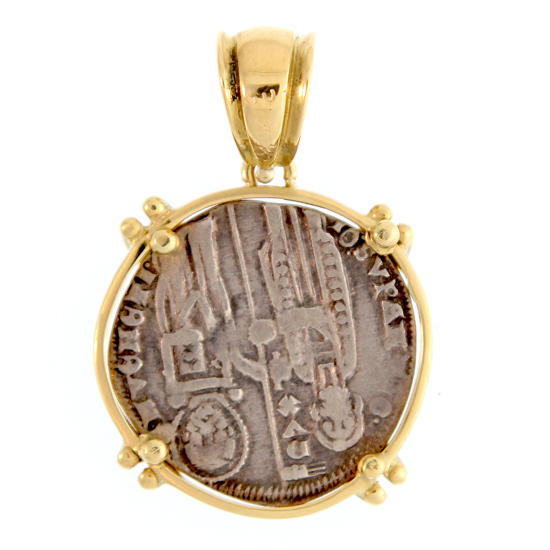 Ruler: Giovanni Soranzo; Mint: Venice; Country: Italy. Framed in 18Kt Yellow Gold with .24TW Diamonds.